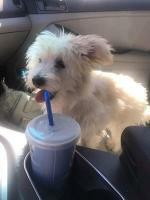 Looking For Maltese Mix Dogs? 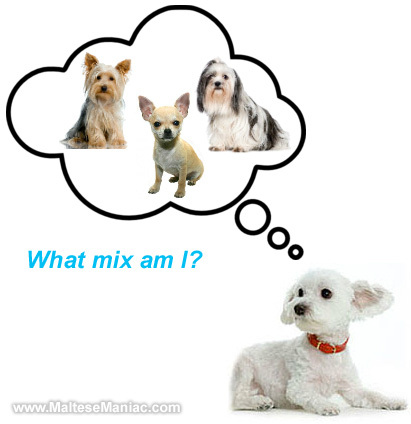 What Are Maltese Mix Dogs? A Maltese mix happens when a Maltese breeds with another purebred dog. Although Maltese mix dogs will never be able to walk in a show ring, they are still wonderful dogs to adopt if you are a Maltese dog lover and want to save a precious life. Please do not purchase these dogs from a breeder. If you discover a Maltese mix that would fit well with your family, you can easily adopt one at a Maltese Dog Rescue instead (and for a lot less money)! Below is a list of some of the Maltese hybrid dogs that can be found in shelters and rescues. By clicking on each link below you can learn firsthand what other Maltese mix dog owners have to say about their dog's personality. 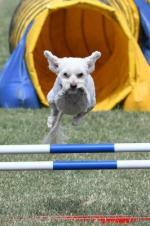 You can also view pictures and videos of Maltese terrier mix dogs. Do you have a Maltese mix? Tell us about it & your dog could be famous! 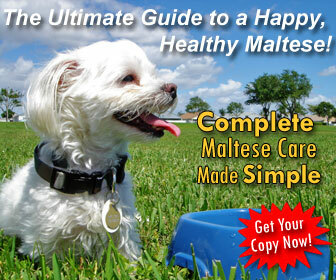 Read what actual Maltese mix owners say about their dogs' personalities. Don't Know What Mix Your Maltese Is? 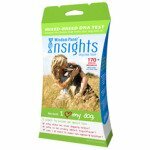 Find out NOW with the Mars Veterinary: Wisdom Panel Dog DNA Test Kit.Easy At Home Swab Test. Now $10 Off + Free S&H! If you have a mix that is listed above, please click on that link and tell us about your dog there. If your dog breed mix is not listed above, please enter your story below. Do you have a Maltese mix? If so, your dog could be famous! 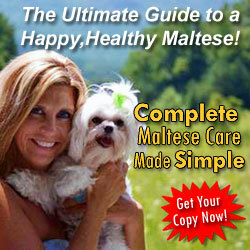 Please tell us all about your Maltese cross breed and we'll put it on our website. What kind of personality does s(he) have? What makes him/her so special? Let other Maltese Maniacs know what to expect from a Maltese mix. Submissions must include at least 200 words of text and a picture to be accepted. Thanks! What Maltese Mix is Shark? What Maltese Mix is Ollie? What Maltese Mix is Tucker? My Mal-Chih-Dach, or Maltese Chihuahua Dachshund mix puppy is the light of my life!!! She is so amusing and loving! I love this Maltese mix. I bought him off of his previous owner who just said he was a mixed Maltese. A lot of people keep asking what he is mixed with but I'm not sure. Joey is a Maltese terrier mix, but I`m not sure about his type. Anyway, my dog is grateful. He is joyful and lovely. He wants to play a lot.